On October 10th, 2005, the surfing community lost one of its most influential figures. After a nearly three-year battle with brain cancer, Larry “Flame” Moore, the Photo Editor of SURFING Magazine for 30 years, passed. He left behind a legacy of brilliant photography and an army of photographers trained by him. 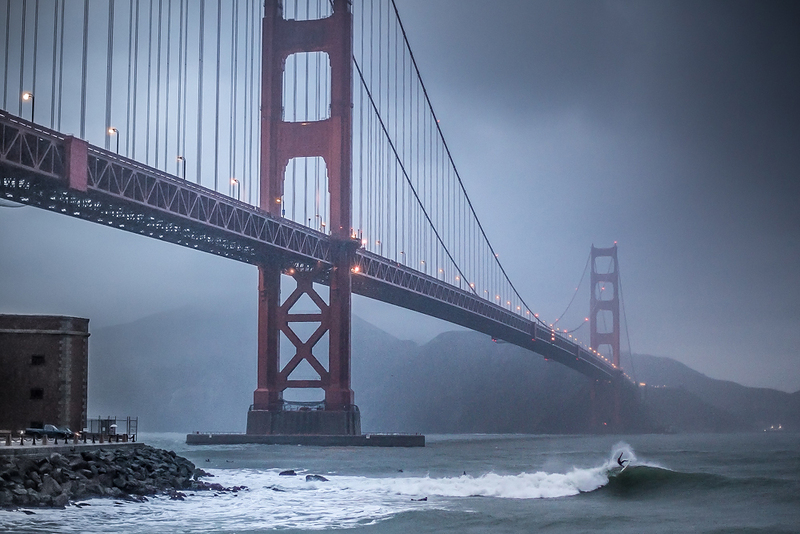 Through his work at SURFING Magazine, Larry literally gave three decades of surfing their “look”. 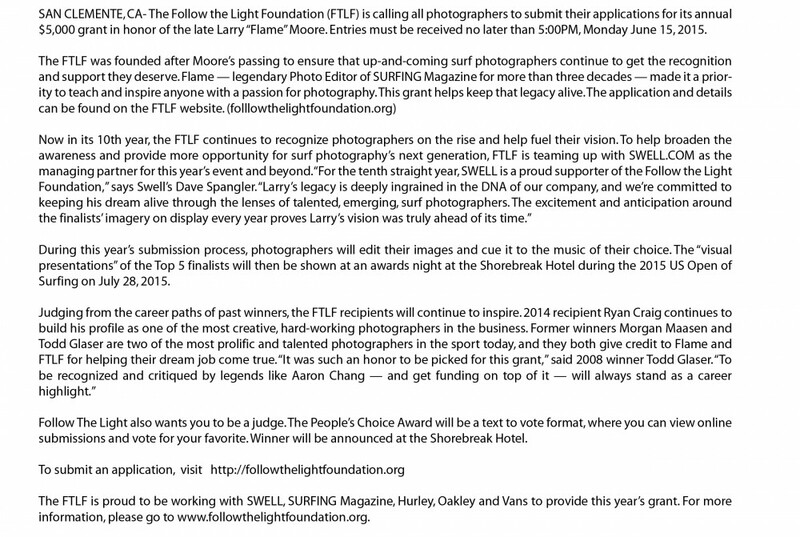 Today, honoring Larry’s request, the Follow the Light Foundation (FTLF) was established, an organization that will help finance the dreams of surf photographers pushing the sport and its lensmen forward. See below for more info.